The Physical Web is an effort to better connect phones to the world around them. In this case, rather than QR codes, the functionality centers around Eddystone Bluetooth low-energy beacons. Merely standing near one is enough to trigger a notification on your device. Support for the Physical Web is already available for Chrome on iOS. 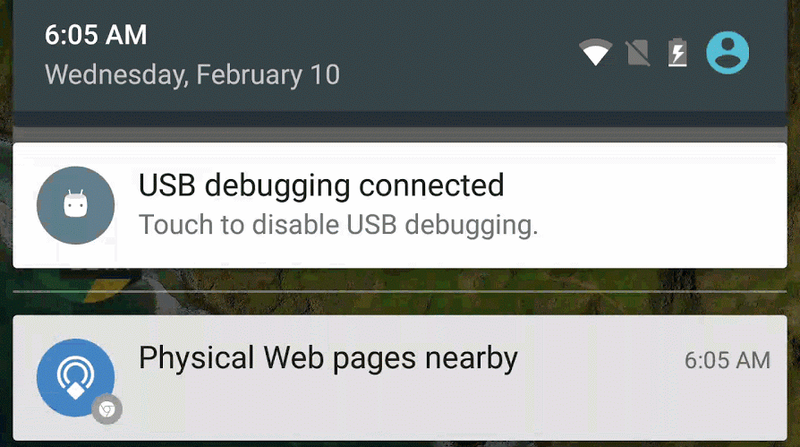 We also saw Web Bluetooth API support roll out to the Chrome Dev channel for Android several month ago. Now it's working its way into the Chrome 49 beta. When a new user walks by a beacon for the first time, a notification appears prompting them to enable the Physical Web. Going forward, they then see a list of nearby URLs inside a non-intrusive notification that appears without vibrating their phone. After another round of continued testing, the functionality should appear in the stable build of Chrome once version 49 starts hitting devices.